If your boiler is no longer heating like it used to, or worse yet, rusted and leaking, then it’s time for a change. Burn efficiency is crucial to our environment and to your gas bill. If your existing boiler has a gas pilot light it will likely only have an energy efficiency of about 65% which is not good. Even the most basic modern boiler has an energy efficency over 80% and will save you on your heating bills. High efficiency condensing boilers will have and energy efficiency over 95% to maximize savings on your annual energy bill. We typically install the Navien NCB240 Combi or the Viessmann Vitodens 200W. If your home has both a boiler AND a hot water tank, now is good time to consider replacing both with one high efficiency condensing combination boiler. This unit effectively functions for both hydronic heating and domestic hot water requirements gaining you space and saving on your gas bill. We buy alot of boilers and that gives us great pricing with our suppliers. We are able to pass these savings on to you. Our low price includes a brand new boiler installed by a certified, licensed, and bonded professional, the gas permit, and we take the old boiler away! 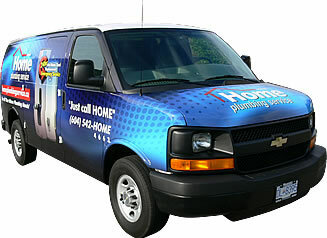 Our specialty is hydronic and domestic hot water heating. We’ve installed a lot of boilers! If you are considering replacing your existing boiler, or upgrading to a high efficiency boiler, give us a call! The quality of our installation work is at least as important to us as it is to you. If you are not 100% satisfied with our workmanship, or the quality of the boiler installation, we will fix the problem at no cost to you. Guaranteed! Time to replace your boiler? Enter your contact details here to help us serve you better & faster. We'll be back to you and working on your quote in minutes.